Yippee!! @inkbyjeng just read 40K followers. Is this even real? Thank you for following me on my bujo/journal/crafting/drawing journey. 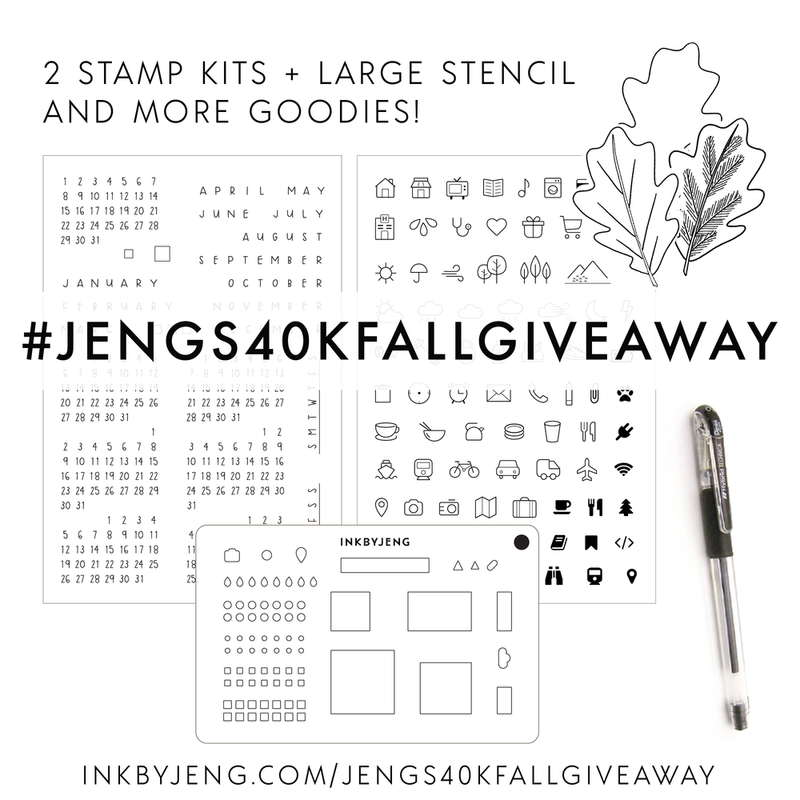 Use the hashtag #jengs40kfallgiveaway so that I can find your entry. Must enter between Nov 10th, 2017 and Nov 16, 2017. Winner will be announced on Nov 17, 2017 and package will be mailed out once address is confirmed. Grand Prize Winner (1) will be picked on Nov 17, 2017. Runner Up (1) will be picked on Nov 17, 2017. INKBYJENG - Mystery Stamp Kit!